In the midst of family heartaches, can two young Amish people move past their grief and trust that God’s will includes finding happiness again? Jamie Riehl might very well be burning both ends of the candle. Running the family farm keeps him busy enough, but add in his volunteering for the local fire department, and Jamie barely has time to eat at the family table, never mind find someone to date. But when he meets Kayla Dienner while responding to a fire, he is smitten. Kayla tries so hard to deny her attraction to Jamie. After all, she’s spent the last year trying to talk her younger brother, Nathan, out of joining the fire department. The death of their older brother in a fire a year ago has reinforced the dangers of just such a profession, and she can’t bear the idea of putting her heart on the line every time the sirens blare. When tragedy strikes, Jamie runs from the guilt he feels and buries himself in his work, extinguishing any flickers of a relationship between him and Kayla. In order to save the love she was so determined to deny, Kayla must set aside her own fears, trusting that the reward of love is far greater than the risk of pain. 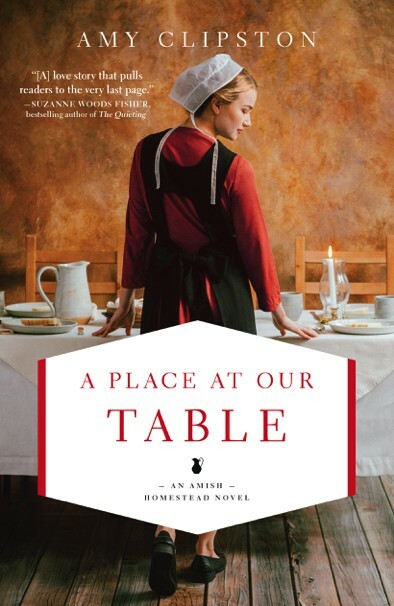 A Place at Our Table is very special to me because it’s the first in my Amish Homestead series. I’m thrilled for my readers to meet the Riehl family members, and experience their joys and heartaches with them. Since Jamie Riehl, the hero in this book, is a volunteer firefighter, this book is dedicated to all the brave men and women who are serving or have served as firefighters and emergency medical technicians.